 If you are ready to begin your counseling journey with Keystone, please read the information below and contact us to make your first appointment. We look forward to walking the road towards healing and hope with you. WHAT TO EXPECT FOR YOUR FIRST APPOINTMENT: When you enter the reception room at Keystone, the internal door from the reception room to your therapist’s office will be closed as your therapist is finishing the previous session. Your therapist will greet you and brief introductions will be made. Your therapist will go over any questions on your forms and proceed with a confidential diagnostic interview where you will discuss your background information including family history, trauma history, substance history, etc. Your therapist will compile the details of your particular needs to determine your plan of care which will be agreed upon by you and your therapist. At the end of your first session, you will be able to exit through a separate entrance, providing privacy for you and other clients. LOCATION: We are located at 114 Main Street North, Suite 202D, Hutchinson, MN 55350. Our clinic is on the second floor of the Cornerstone Commons Building on HWY 15/Main Street and 1st Ave NW, above Dunn Brothers Coffee. There is street parking as well as a parking lot on the west side of the building. When you come to the top of the stairs or elevator, take a left to the business suite where you will find our clinic entrance. Please take a seat in our reception room and your therapist will greet you when your appointment time arrives. PAYMENT OPTIONS: There are several ways to pay for your appointments. If we are in your insurance network, and your cause for care is covered (your therapist can help you determine this), you may submit your bill to insurance. We also accept HSA payments, cash, and Mastercard, Visa, Discover and American Express credit card payments. A Payment Commitment form must be signed before or at your initial consultation. This form is located below. CANCELLATION POLICY: If you are unable to make your appointment for any reason, we require a 24 hour advanced notice to prevent you being charged for the visit. If you are unable to cancel more than 24 hours in advance, we will require full payment for your appointment. If you arrive late for your appointment, Adam will not be able to extend your session past the allotted time. Frequent no shows or last minute cancellations may lead to termination of the relationship. Thank you for your help in allowing us to serve all of our clients fairly and with respect. Q: CAN I EXPECT MY HEALTH INSURANCE TO COVER THE SERVICES I RECEIVE AT KEYSTONE? A: We accept most major insurance companies and counseling services are typically covered by insurance. Couples and family sessions are sometimes not covered based on your insurance plan. You may contact us, or your insurance company directly get clarification on this information. Insurance will NOT cover business consulting. Q: DOES KEYSTONE OFFER SLIDING-SCALE FEES? A: We do not offer sliding scale fees at this time, but we do offer discounts when session packages are paid for ahead of time. For example, a pre-marital package of 14 sessions which is typically not covered by insurance can be purchased upfront with a 5% discount. Q: DOES KEYSTONE OFFER PSYCHIATRY? A: Keystone does not offer Psychiatry services or the ability to prescribe medications for medically diagnosed mental health conditions. We can make referrals to a higher level of care (medical professionals) if you and your therapist agree that it would serve you well. A: You can make an appointment by calling us or submitting an email on our contact page. Q: WILL I NEED TO ATTEND SESSIONS ALONGSIDE MY CHILD? A: Typically, sessions with students will occur without the parents present, unless the goal involves a family/parenting focus. Frequent check-ins by the parents are appreciated to help the process. Q: HOW OFTEN CAN I COME IN FOR APPOINTMENTS? A: Frequency of sessions varies depending based on need. Typically, people come in once a week, or once every other week. Time between sessions can go longer during the termination phase if needed. In severe cases, people are able to come in a couple times a week. Q: HOW MANY SESSIONS DO PEOPLE TYPICALLY COME IN FOR? A: All depending on severity of presenting concerns, total amount of time in therapy can range from a couple of months to years. Average time tends to be around 12-15 sessions. A: Sessions are 45-50 minutes long. Please have all of the following forms filled out for your first intake appointment. Paper forms are also available for pick up at our office.